How Much Do Franchise Owners Make a Year? 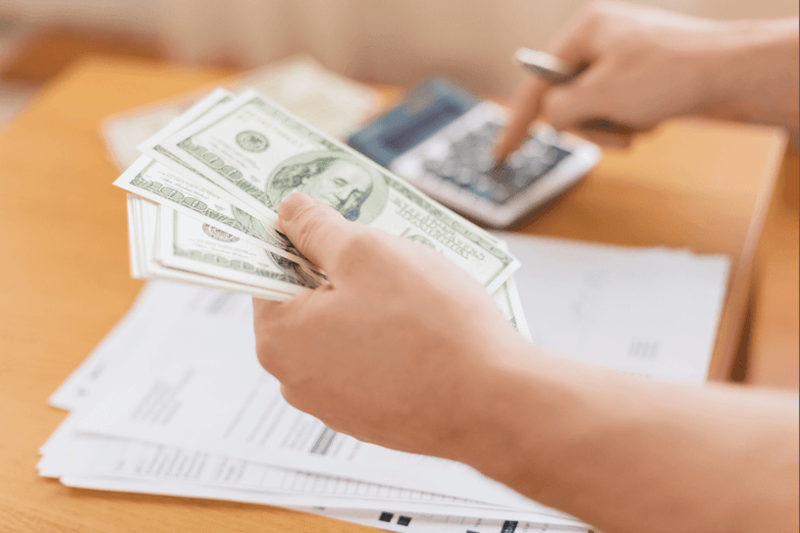 The number one question any potential franchisee wants to know is “How much money can I make as a franchise owner?” The quick answer is, if you’re lucky, you might get rich. Alternatively, you might lose your entire investment. The reality for most franchisees is somewhere in between. Exactly how much money YOU will make as a food franchise owner is a difficult question to answer. There are many factors that will influence your potential earnings – the biggest of which include the brand you invest in and your own personal performance as a business owner. It’s true that some people in franchising – we’ll call them the top performers – have done very well for themselves. These are most often the people that end up owning multiple franchise locations and have built a successful team of people around them. This group represents only about 20 percent of the franchisee universe, yet it is their success stories that attract thousands of people to invest in a franchise every year. So what about the other 80 percent you ask? Our research shows that 37 percent of food franchise owners earn less than $50,000 per year, and just 16 percent – the “top performers” – earn more than $200,000 per year. The average annual income reported by all food and beverage operators that we surveyed is $120,000 for businesses open at least two years. Not bad, until you factor in the long hours and high initial investment that come with many food businesses. The good news is that our top food franchises report average earnings 15 to 20 percent higher than their competitors. While aggregate income data like this can be an interesting starting point, it is important to note that average numbers can be misleading. Average income data includes all franchisees together – both single and multi-unit owners – as well as franchisees that have been operating for many years. Those “top performers” in every brand can dramatically inflate the averages. In most cases, median income data can be much more useful, and more accurately predict what you or the typical franchisee might earn. In the case of our food and beverage franchisee data, the median annual income is around $70,000, and if we include startup franchisees (those in business for less than two years) the median falls to around $50,000. Only 34 percent of all food franchise owners earned more than $100,000 last year – and many earned much less. Notably, men tend to make more than women, in fact, they make 34 percent more, on average. This discrepancy, however, could be explained by the fact that more men are multi-unit owners (61 percent vs 51 percent), while more women are single-unit owners (49 percent vs 39 percent). When doing your research and business planning, it is also important to distinguish between “business profit” and “owner income.” Prospective franchisees often confuse a business’s profits with their potential annual income/salary, which is a big mistake. As a business owner, before you can “pay yourself,” you often have to pay business taxes, debt repayments on loans, and reinvest in your business (that new piece of equipment you need, or the new signage you’re required to buy, for example). While your business may grow to be quite profitable, your actual take-home income could be substantially lower. Talk with as many franchisees as you can and confirm that your business projections and income expectations are realistic. Understand that most business owners can’t take any money out of the business for the first few years during the startup phase, and it may take you even longer to start paying yourself a salary from your new business. Plan accordingly and try to have alternative sources of income (i.e. a spouse’s salary) to live off of while your new business is getting off the ground. Finally, on the topic of income and profitability, while many food franchises report relatively high unit-level sales, and/or profitability, it is important to look at the whole picture when considering a franchise investment. For example, a food franchise may offer slightly higher profitability compared to other businesses, but if the initial investment is three times higher, your overall return on investment is potentially going to be significantly lower. Work through your long-term financial projections with a good accountant, and compare your potential franchise investment to other businesses, as well as other investment opportunities (i.e. real estate, stocks, etc.) to see how they compare. The importance of a new franchisee being well-capitalized cannot be overstated. Prospective franchisees should carefully review a brand’s Franchise Disclosure Document (F.D.D.) and ask current franchisees how much they recommend a new franchisee have in the bank before opening. Food and beverage franchise operators often tell us that one of the biggest issues new franchisees run into is managing the wild cash flow swings associated with operating a new business. Many franchisors have started including an Item 19—the “financial performance representation”—as part of their F.D.D. The latest trend in Item 19s is providing both gross and net numbers in order to really give candidates and franchisees a better idea of potential profitability, not just top-line revenue. Franchisors told us they have become much more frank in their discussions with franchisees about what exactly they’ll need for capital in order to be successful. “We’ve had an Item 19 for over 20 years,” said Ken Switzer, Treasurer of Marco’s Pizza. “We try to go overboard in providing useful information for people to make an informed decision. We encourage prospective franchisees to check with other franchisees about any problems they have —we don’t want any surprises." If you’re comfortable in your ability to fund a food franchise and are interested in exploring the options, there are tons of opportunities. Not all opportunities are great opportunities, however. That’s why Franchise Business Review surveys thousands of franchisees every year to determine the top brands based 100 percent on franchisee satisfaction. You can see who made this years Top Food Franchise List here. Explore funding options to start your franchise. Tips and advice from successful franchisees. Franchise leaders talk about their opportunities. Is a Mobile Business the Way to Go in Today's Economy?